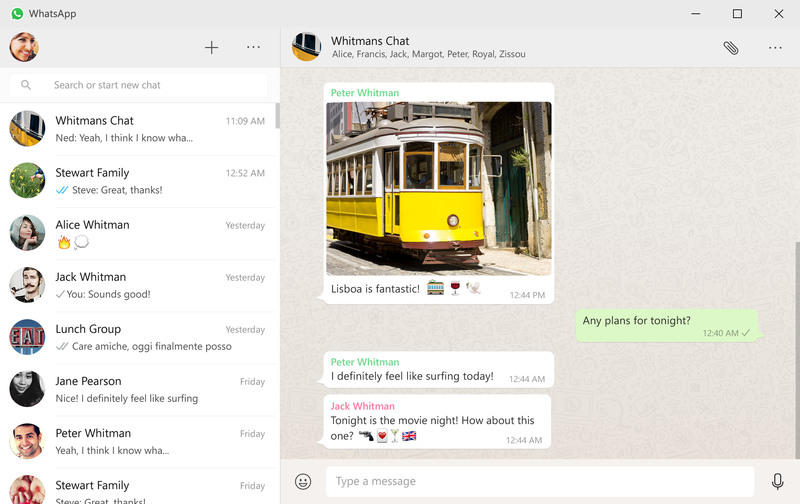 WhatsApp, the most popular smartphone messaging app, has launched a desktop App which is available for both Mac and Windows. The experience in the app largely mimics the UI & UX what we get on the phone and the web itself. You can easily send photos, video, text and audio files to family and friends. The desktop app also brings a very important feature: live notifications which is very crucial for real-time chatting. With the new launch, WhatsApp has made its presence on all the major OS including Android, Blackberry, Windows phone, iOS and web browsers. With such massive presence, the messaging service with more than a billion users worldwide could pose a huge threat to the competitors especially Skype, Viber and Apple’s iMessage. Google’s Hangouts, has been enjoyed by a lot of people specially with corporate clients but it really never got the hype it should have deserved. Apple’s iMessage lets users to get messages on Mac and iOS but is absent from Windows and Android phones. Moreover, Facebook Messenger is available iin Mobile, web and Windows 8 or 10 app but is absent from the OS X app. This just proves the point that currently, WhatsApp is more powerful as it’s available everywhere! Have you downloaded it yet? Let us know in the comments below! Google’s AI reading romantic novels to become more natural.